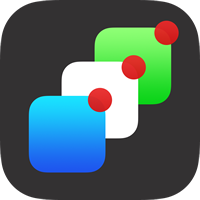 Many websites are using push notifications to send updates and alerts to Mac users. 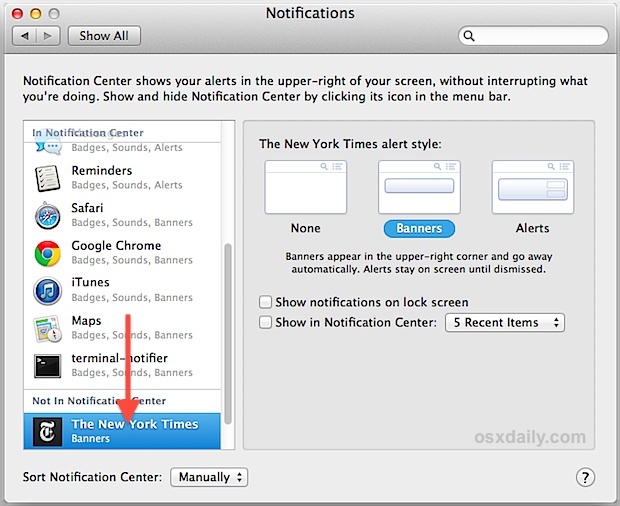 These alerts are signed up for through Safari, and then arrive as banners appearing briefly on the desktop, then fade away to sit in the Notification Center of OS X until they’ve either been cleared out or addressed manually. 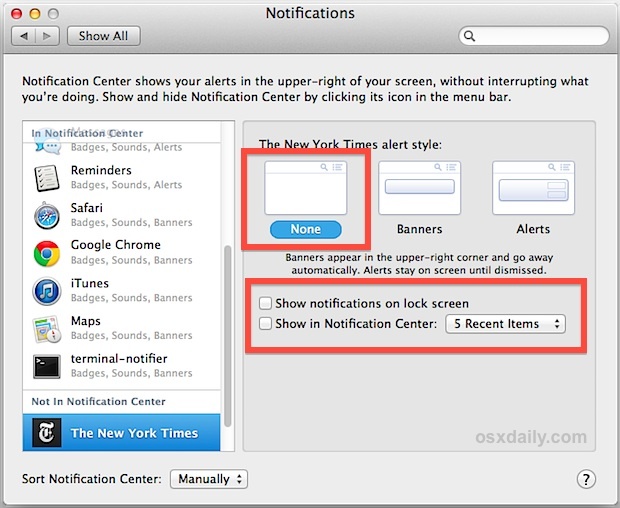 If you no longer want to receive push notifications from a website, you can adjust them on a per-site basis not only through Safari, but also through general System Preferences on the Mac. You can also drag the site name down from “In Notification Center” to “Not In Notification Center”, but if you have a lot of stuff in notification center that can be challenging if not impossible since the preference window is not expandable. Because push notifications are delivered to OS X as banners, you can also control how long they linger on the screen by using a defaults command string. That offers another option to disabling them completely if you just want to read a quick headline and then ignore the alert. If you’re being pelted with notifications while trying to get some work done but still want to generally be subscribed to push from the website in question, it’s probably best to just temporarily turn off Notification Center in OS X instead. As of now, sites that have been chosen to not appear in notification center still appear in the Notifications system preference panel. That’s likely so you don’t get pestered to allow or disallow the notifications every time you visit the sites in question, but with enough alerts you can find the preference panel to get fairly cluttered. I find push alerts annoying on both OS X and iOS, very intrusive and assume you have nothing to do all day except read a bunch of alerts. The ideal solution perhaps would be to have them not push to the front of the screen and annoy/distract the user, but maybe just change the color of the Notification Center menu bar icon or something to signify a new alert has arrived. Then when you feel like reading the feed, flip over to see them all. Kind of like scanning Twitter, I guess. Along the lines of James T’s post, I would like to see an option to completely rip Notifications from the operating system. Sounds harsh, but some users have mail open already – which indicates when new mail arrives, but all other intrusions are best left in the dark until I want them. I just think its too presumptuous to think everything needs a Notifications. Like playing iTunes and getting one for every song. Or for mail that’s generally accessible anyway. I mean, how many ways do you need to be notified? I have found ways to turn off the annoyances that have crept into OS X. But its not become like removing bloatware in a new Windows PC. Should I really have to spend time turning off or defeating a feature I don’t want and can’t really make it totally go away? The insidious Mac OS update notice keeps appearing every 10 mins. on my computer, which is NOT connected to the Web. Telling me that the notice is a lie. Apple’s intent is simply to f- users over, not remind you to update the OS. Thanks much for the solution on this page. Software Update notifications are different from the push notifications from Safari that arrive from websites. You are experiencing a software update notification it sounds like. I think Mac Notification Center is very annoying either way, I suggest disabling it or turning Do Not Disturb mode on all the time. Notifications are not helpful, they are intrusive to me. Time to evacuate from this zone.